Is there anything prettier than a wintery outfit, all in soft shades of whites and creams? I love how you can wear a traditionally “summery” color, yet wear it in a completely different season. That whole “you can’t wear white after Labor Day” has been abolished, that’s for sure, but I think even in year’s past “winter white” was allowed (thus, the name). I love that it looks wintery, but hints at Spring at the same time. And it’s great for this time of year, when Spring is hovering around the corner. No one wants to layer up with heavy, dark colors when it’s almost March! This way, you get the best of both worlds. Here I’ve included neutrals as well, as I put them in the same category. Tan, beige, winter white, cream… all work to convey a cozy and elegant look. Love all the textures here! That’s what keeps it from looking too summery. A winter white coat is a great investment, I think. Not only can it be worn on cold days, but it’s looks amazing on nights out with a black dress. Blush colored coat mixed with creamy whites. Texture again. And it looks amazing with the brown booties. 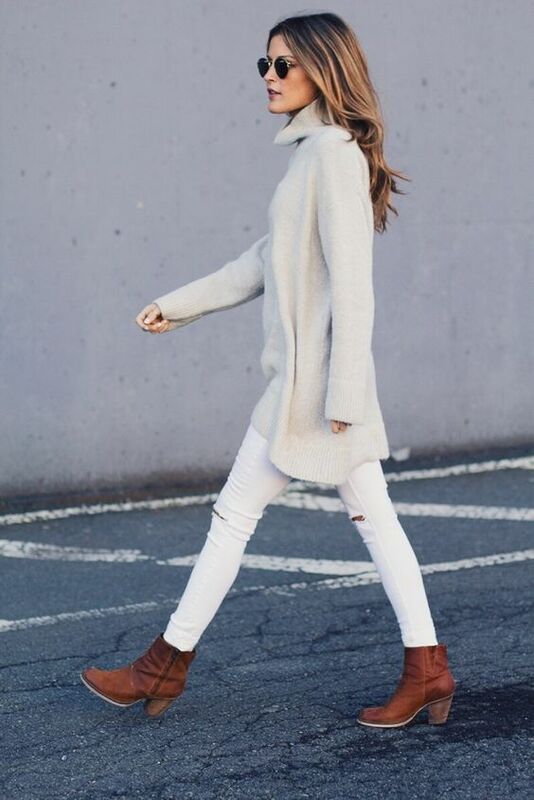 Winter whites mixed with denim and black. Again, another way to make the creamy colors not come off too summery. Love winter whites as a dressy choice in the winter. 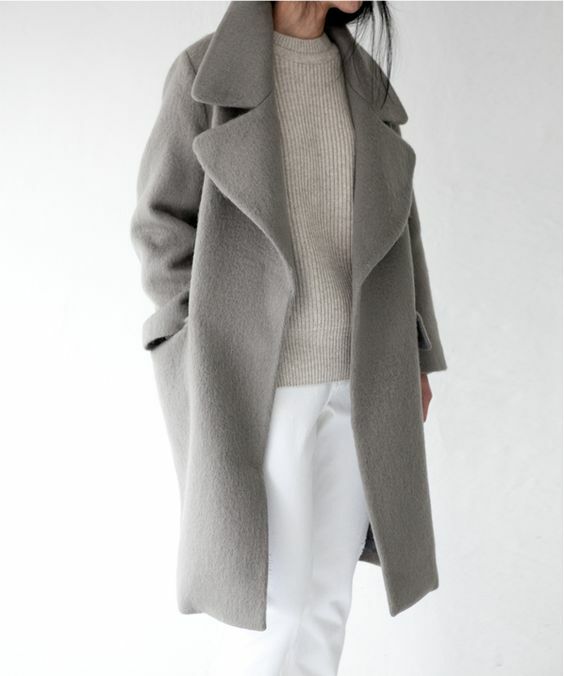 Taupe-y coat mixed with a beige sweater and winter white jeans. Casual sweater with white jeans and sneaks. Perfect weekend wear! Have a lovely Friday friends! Amei esses look brancos. Esse casaco rasa está belíssimo. I do love winter white and especially with sweaters and white jeans. My issue is finding white jeans that are thick enough so they aren't tight looking yet flatter. Too many pairs look like leggings and that is not a good look! Do you recommend a brand you like? I used to like J Crew's, but even theirs are getting thinner. I love winter white. It seems to look good on everyone who wears it.